UTS is delighted to extend an invitation on behalf of Her Excellency Ms Harinder Sidhu, Australian High Commissioner, New Delhi, inviting alumni who are living or working in India to the ‘Australian Alumni Gala Event 2017’ at the Taj Mahal Hotel on Friday 3 March 2017. 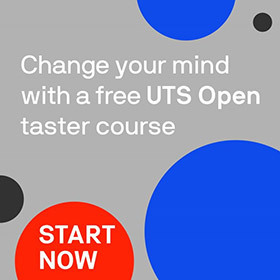 If you are in touch with any UTS graduates who might not have received this invitation, please forward this email to them. Find out more about UTS International Alumni Receptions and other upcoming alumni events.